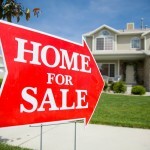 The signs are positive for those who will be putting their home on the local market this winter. Demand is there, mortgage rates are still low, and across the nation, prices are pointing higher. If you will be selling a home in Spring Hill FL anytime soon, there are some extra steps you can take to strengthen your position. 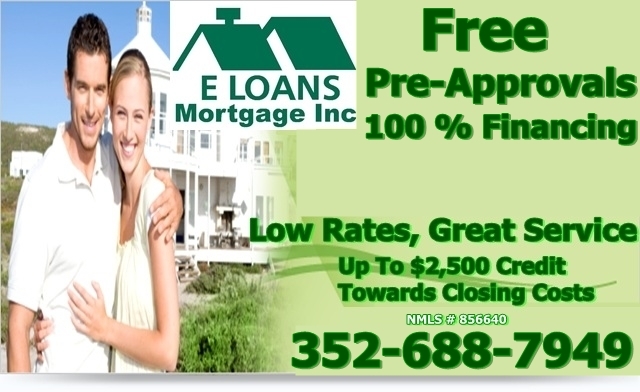 Getting a home loan in Spring Hill FL will be the concern of the buyer, not you. She or he will have to fill out the forms, go through the credit checks, etc. More subtle is the impact your own financial picture can have on the process of selling a home in Hernando County. If you will be moving to a new home yourself, it’s a good idea to get pre-qualified by a local Spring Hill Mortgage Lender for that transaction even as you begin selling your local home. When you are secure in the knowledge that you have qualified to buy your next home before your current property is sold, it solidifies your bargaining position. If not, you need to know that so you can time your sale’s closing appropriately. Knowledge is power—clarifying your finances will make for smoother sailing. Selling a home in Spring Hill FL for the best price requires presenting it in its most favorable light. Even minor fixes that are clearly trivial should be tackled before the first prospect crosses the threshold, First impressions are hard to erase, and the psychological impact of even minor problems can influence the apparent value your local property commands. Some experienced homeowners even pay for their own advance inspection before selling a home just to identify problem areas it takes an expert’s eye to uncover. Your choice of Realtor® will have ongoing consequences, so taking the time and effort to find a compatible agent will be well worthwhile. Selling a home in Spring Hill FL is a many-faceted project, so find a partner you will enjoy working with— one who communicates openly and honestly about everything from today’s market profile to which area service professionals are the most dependable. Thinking of selling a home in Spring Hill FL this winter? Call us for a complimentary consultation. We are always here to offer the best current marketing ideas! 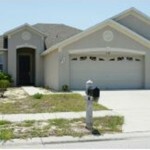 Looking for a 4 Bedroom Home for sale in Spring Hill FL? We just made the search easier for you. Check out the 4 bedroom homes available for sale in Spring Hill FL all here on one easy to navigate page. Whenever a home lingers on the market, the likeliest two culprits are either a price that’s too high to be competitive, or a home that’s not in top showing condition. If you were unsuccessful in selling your home in Spring Hill FL this summer, it would be particularly disappointing given the strength of the selling season. 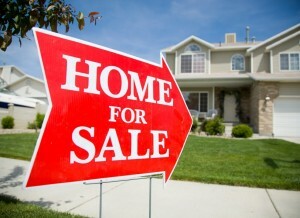 The NAR reports that in July alone, sales of existing homes jumped 17.2% compared with July 2012. At the same time, some sellers reported the reappearance of multiple offers. The good news for home owners in Spring Hill FL? Selling your home in the fall or winter is not as difficult as most people commonly assume. In fact, selling your home in Spring Hill FL during the coming months can offer certain benefits. In what many people assume is an “off season,” fewer homes are on the market — less competition. At the same time, buyers in these seasons tend to be more serious about buying, add to that the return of Snow Birds to Spring Hill and you have yourself a perfect selling opportunity. Pricing is almost always the overriding issue. Home values haven’t fully recovered from the peaks registered before the residential housing crash. Nationally, median prices are on the rise…but even so, they are still well below the high water marks reached in 2006. If you bought or appraised your home in 2004 – 2006, you might have to set your asking price lower than the number you heard then. Selling your home quickly might depend on it. Showing condition matters, too. Selling a home is different from living in it. To be competitive with the other local homes for sale, the property should be spotless for every showing. Removing excess furniture, art, and personal items such as family photos or trophies is important for creating a home that appears spacious and airy. It also lets buyers more easily imagine their own families living in your home. Don’t let the lack of a summer sale discourage you. When you set your asking price correctly and provide an immaculate showing environment, you’ll give yourself a strong chance of selling your home in Spring Hill FL during the cooler weather months. If you would like to talk strategy, call us today for a Free in-home assessment! Spring Hill FL Real Estate Values: No Kidding Around! Whenever you hear that a neighbor’s house is on the market, the same question flashes through nearly every homeowner’s mind: how much are they asking? That’s because of the nature of residential markets: our own homes’ real estate values (in fact, all Spring Hill FL real estate values) are connected with one another, and that asking price is an estimate of the current state of affairs. It has to be reasonable in order to attract the attention of serious buyers — but if it’s too reasonable, on closing day the seller will walk away with a lighter bank account than necessary. 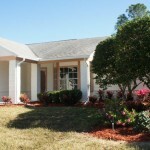 Real estate values in Spring Hill FL are determined in large part by what other similar homes have recently sold for. These comparable sales show what a real world bank was willing to lend, and how many dollars a real life buyer was willing to pay. “Comps” are to real estate values what the Dow Jones is to securities: a trustworthy reality check, no kidding around. The structure of a comp sale will have similar square footage, number of bedrooms, etc. Its condition is a value judgment best made by professional appraisers. Amenities can include everything from upgrades in a development to added features like central air conditioning or a Jacuzzi. And location means a great deal (is it in a high crime area?) — as does the similar but more precise neighborhood (are the neighbors taking care of their yards? Are the schools first-rate?). Ultimately, when determining real estate values for Hernando County homes, appraisers take into account much more than just the house itself. That’s why when you set out to find a home for your family it’s important to look beyond the physical facets of the house alone: should you later decide to sell it, the whole host of factors will come into play. Whether you are buying or selling a home in Spring Hill FL this fall, contact us today for a pricing evaluation. WOW, incredible Courtyard pool home in Silverthorn. Not A Short Sale And Not A Foreclosure. Home has been remodeled and is light bright and very airy. Nice open floor plan, step inside to your own private courtyard where the entire home is built around the pool. Features: separate cabana bedroom which can be used as a private guest house or your own private office or sanctuary. Large vaulted ceilings, split plan, fireplace are just some of the many features of this custom built home. Nothing to do here but move in and hang your cloths! Community includes club house with Jr. Olympic pool, Golf, Fitness Center, and Tennis Courts located in the prestigious Silverthorn Golf Course Community.